Real-time imaging, using ultrasound techniques, is a complex task in non-destructive evaluation. In this context, fast and precise control systems require design of specialized parallel architectures. Total focusing method (TFM) for ultrasound imaging has many advantages in terms of flexibility and accuracy in comparison to traditional imaging techniques. However, one major drawback is the high number of data acquisitions and computing requirements for this imaging technique. Due to those constraints, the TFM algorithm was earlier classified in the field of post-processing tasks. 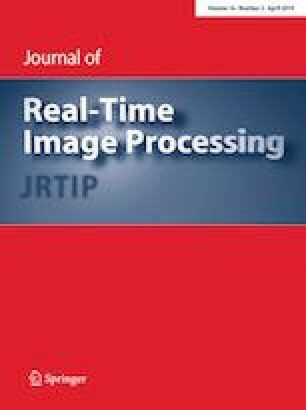 This paper describes a multi-FPGA architecture for real-time TFM imaging using the full matrix capture (FMC). In the acquisition process, data are acquired using a phased array and processed with synthetic focusing techniques such as the TFM algorithm. The FMC-TFM architecture consists of a set of interconnected FPGAs integrated on an embedded system. Initially, this imaging system was dedicated to data acquisition using a phased array. The algorithm was reviewed and partitioned to parallelize processing tasks on FPGAs. The architecture was entirely described using VHDL language, synthesized and implemented on a V5FX70T Xilinx FPGA for the control and high-level processing tasks and four V5SX95T Xilinx FPGAs for the acquisition and low-level processing tasks. The designed architecture performs real-time FMC-TFM imaging with a good characterization of defects. This work has been supported by the French institute “Laboratoire d’Intégration de Systèmes et des Technologies” (LIST) from the “Commissariat à l’Energie Atomique” (CEA) in partnership with the M2M-NDT company.